Sometimes, the most important truths are the hardest to swallow. Now, it seems science has no mercy: A recent study suggests that "comfort" foods don't actually make us feel any better. The study, published in Health Psychology, consisted of a series of experiments observing how participants felt after watching a medley of clips from sad, scary, or anxiety-producing movies. In the first experiment, 100 undergraduate students first identified their three personal comfort foods and their three favorite non-comfort foods. Then, they watched the 18-minute clip-mashup and completed a survey about how they felt. Following the survey, participants were given three minutes to eat either one of their comfort foods or one of their (still tasty) non-comfort foods. In the second experiment, participants at this point got to eat a neutral food (a Nature Valley Oats 'n Honey granola bar, naturally). And, in the third experiment, they didn't get any food. Each time, participants completed the same mood survey. Results showed that there were no significant effects of food type (including comfort, non-comfort, and neutral foods) on mood, suggesting that participants' supposedly soothing snacks didn't actually make them any less sad, anxious, or scared. And, participants got happier over time, even if they didn't eat anything. Which means that we might be giving our go-to mac n' cheese credit for mood improvements that would have happened anyways. And, it's important to note that this research doesn't suggest the presence of a placebo effect: There was no correlation between participants' confidence in their comfort food's mood-boosting abilities and their actual moods. Of course, this study has the usual issues that come with self-reported data. But, despite our (grumpy) gut reactions to this news, it actually supports a recent movement to change our conceptualization of "food addiction" to "eating addiction." Because, although some foods can be rewarding under the right circumstances, they don't set off the same reactions in the brain that addictive drugs do. This knowledge, coupled with this new study, suggests it's not what we eat that can be addictive; it's more just theway we eat. 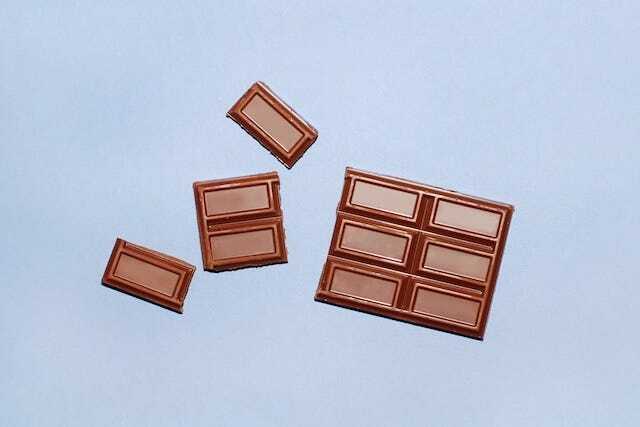 So, while we don't necessarily believe that a chocolate bar will soothe our souls, it could give us that slight feeling of control within a world of uncaring chaos. But, hey — one day, maybe we'll get that from a salad.